Coppell Therapist: Audrey Kteily - Therapist 75019. Send A Message To Dr. Kteily. Dr. Audrey Kteily holds a PhD from Texas Womans University specializing in Family Studies. She also holds a MA in counseling from Dallas Baptist University in addition to her undergraduate Psychology degree. Dr. Kteily has two decades' of experience helping individuals and families. 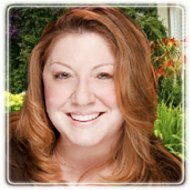 Recognized Authority in Family Counseling Dr. Kteily's education and extensive experience has helped her develop a great reputation within the therapist community and helps her to deal effectively with a wide range of varying issues. These include the challenges of parenting, obsessive disorders, poor self-esteem, eating disorders, cutting, depression, suicide, anxiety, asperger syndrome, and more. Why Do So Many People Choose Coppell Family Therapy? Dr. Kteily and the staff at Coppell Family Therapy are committed to providing the very best patient experience for all who visit their practice. To maintain the high level of excellence, Coppell Family Therapy holds to the following values: 1) Passion for healthy families - Helping families find a healthy balance and to nurture great familial relationships is not just a job. It's not even a just a "calling". Rather, it is a sincere passion ours. 2) Parenting strategies - Moving beyond theory and amorphous advice, Dr. Kteily wants to help families by working with them to develop real strategies. 3) Ability to bond with adolescents - Reaching a teenager can be a difficult task, and one that is made even more difficult when there is no real connection. Dr. Kteily has an innate ability to connect with teens in a way that gets their attention, gains their respect, and gains the right to be heard. 4) Ability to get to the issue quickly and effectively - Many families have become frustrated and burdened with previous counseling experiences in part because the counselor was not able to discern quickly enough the root issues that was causing strife, discord, and unhealthy behavior. The years of experience Dr. Kteily has offers the ability to quickly discern root issues in order to more effectively and efficiently move towards resolve and health. 5) Ability to work with all members of the family at once - Dr. Kteily can skillfully work with multiple members of the family at the same time/place to develop more effective strategies. 6) "Down to earth" style - Dr. Kteily is not haughty, impersonal, condescending, nor judgmental. Her clients often remark about her ability to connect on multiple levels because of her "down to earth" style.